Do you want to know how to spend one day in Bolsward, The Netherlands. 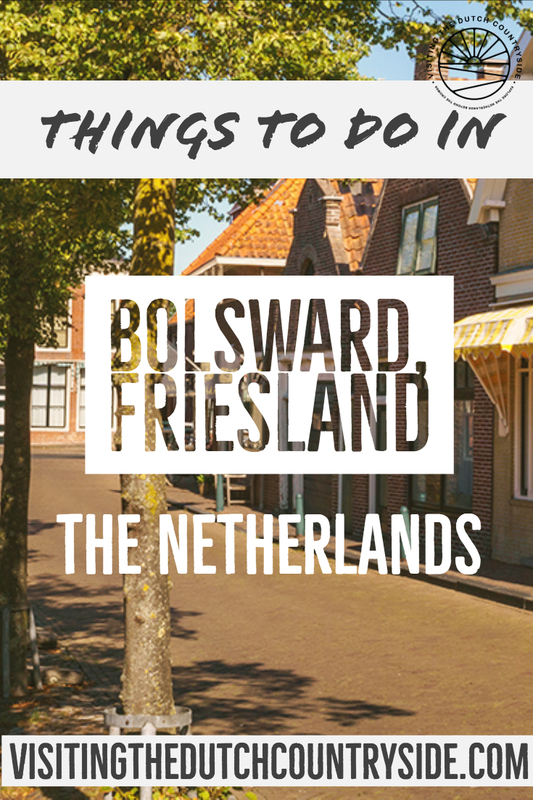 Here you can find the best things to do in Bolsward, Friesland. You are exploring the province of Friesland, The Netherlands and have arrived in Bolsward. 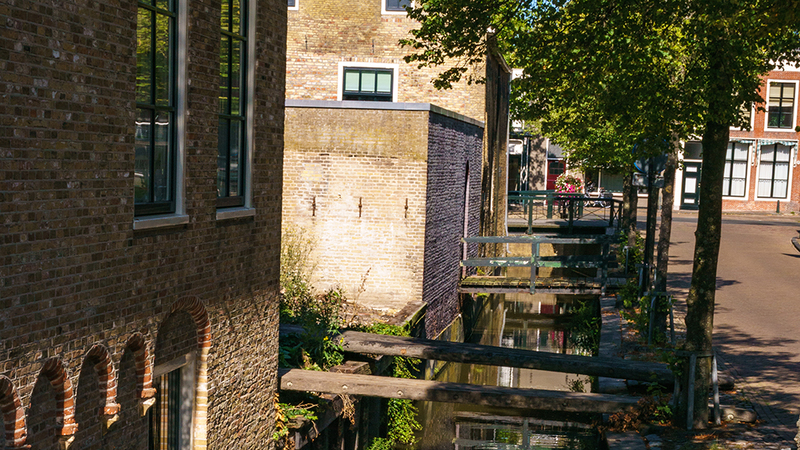 Here you can find how to spend a day and what things to do in Bolsward, The Netherlands. Bolsward is one of my most favourite cities of Friesland and is well-known to be one of the 11-cities. Bolsward is built on three mounds, which is still visible nowadays. 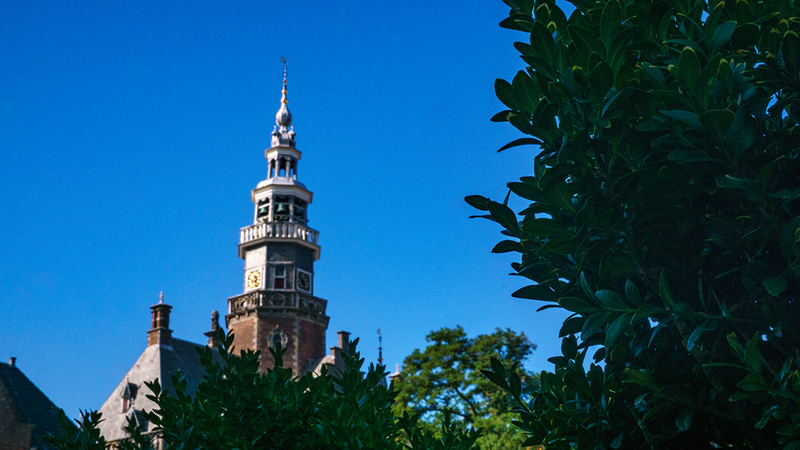 The Sint Martini church is located on one of the mounds, and those mounds date back to the beginning of the era when we started counting the years. 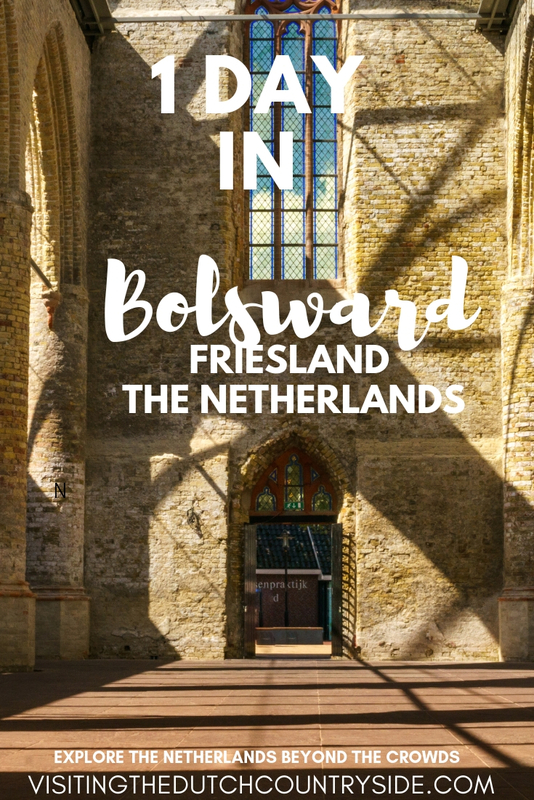 That means that Bolsward, Friesland is one of the oldest cities in The Netherlands. In the year 1455 Bolsward got their borough rights and turned into one of the Hanze cities. The centre of Bolsward, Friesland exists out of beautiful canals and historic buildings. When I went to explore Bolsward my first impression was that the city is cosy, clean and peaceful. As I was walking my way through the city I noticed there was not much traffic and people were very friendly. They were saying hi to me and I, said hi back. Walking through Bolsward is doable as for any Dutch city. Bolsward is a small city but has plenty of things to do, so spending a day in Bolsward, Friesland isn’t hard at all. This is one of the best things you can do in Bolsward, The Netherlands. One of the most beautiful times of the day is during sunrise and sunset, this is also true for Bolsward, Friesland. If I were you I would arrive in an afternoon and spend a night in Bolsward as well. This means you can enjoy a sunrise and sunset in the most beautiful city of Friesland. Walking through a city during the evening gives you a whole other taste of the city life than wandering through Bolsward during the day. The same is for the time of sunrise. During summer, sunrise is early and during autumn and winter, you can sleep some hours longer. Stay in Hotel/Restaurant Het Weeshuis. This is an old orphanage that has been used from 1553 until 1954. Nowadays you can sleep in one of the 14 beautiful rooms that they have available. A night at this hotel will cost you at least 85 euros, as that is the price of the cheapest room. Have a look at them here. Or stay at De Wijnberg Bolsward where you can stay in a beautiful room from 79 euros a night. The hotel dates back to the end of the 19th century. You can also rent bicycles at this hotel so you can explore the area around Bolsward, Friesland by bike. Click here for more information. After you saw a beautiful sunrise in Bolsward, you should get yourself some breakfast. Either at your hotel or go into a local supermarket as Jumbo, or Albert Heijn to score yourself some food. Peacefully walk through the beautiful city. Some of the most beautiful streets of Bolsward are Jongemastraat, Appelmarkt, Grote Dijlakker, Grootzand, Het Laag, Wipstraat, Snekerpoort, Broerestraat, and Sneekerstraat. Make sure to add those streets to your walk. You can visit the city hall of Bolsward in 2020 again, as it’s getting reconstructed into a special museum. Yet, the building itself is still beautiful. So, add Stadhuis (city hall) to your walk. You will see the marktplein where plenty of restaurants and bars are located. Walk past the city hall again and the canals to end up at the Broerekerk. The Broerekerk (church) of Bolsward was built in the 13th century as a monastic church. In the 16th century the monastery was abandoned and demolished, but the Broerekerk stayed strong. But, the church didn’t survive a fire in the 1980s and all that was left was a ruin. 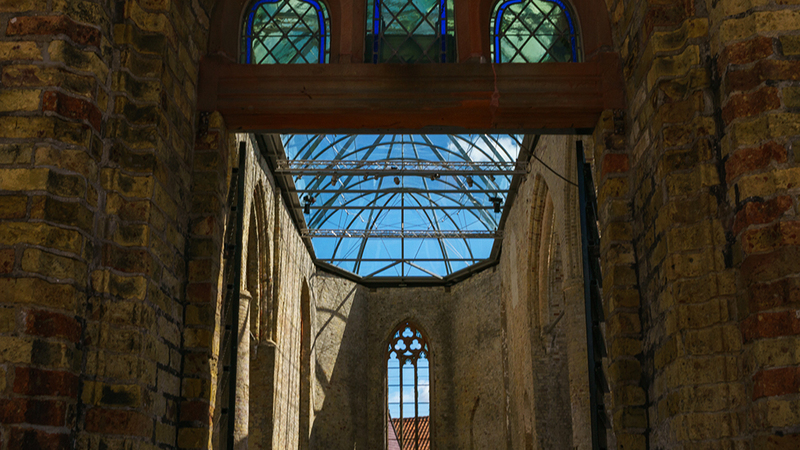 Until, in 2006, architect and designer Jelle de Jong from a nearby town, created a glass roof on top of the ruins of the church. That didn’t go that easy though. As I was speaking to a local, she said that the glass was tearing apart and cracked. This was because the church is so old, it was hard to assemble to the glass roof. Nowadays you can visit the church, there are expositions and events held. If you are spending one day in Bolsward, visiting the Broerekerk must be on your list. At days that the Broerekerk isn’t reserved for an event, the church opens from 09:00-18:00. During the winter the gate will close earlier. On Saturday and Sunday, the gate will be unlocked at around 10:30. You can find 11 fountains in every city that belongs to the 11-cities of Friesland. These are all the cities of Friesland that gained borough rights. At the Broerekerk you can also find one of the 11 fountains. While you’re there have a look. Locals find it horrendous. And they hate the fact that they couldn’t have a say for the design. It’s not my favourite out of the 11, I must admit that. After exploring a part of Bolsward, you must be getting hungry. Of course, you can lunch like plenty of Dutch people do every day. Get a piece of bread and take that with you. But, you can also try to spend your day in Bolsward as good as possible. And that means, eat lunch at By Pimpé. This is actually a store but has a lunch spot as well. The store is cute and has so many great things for sale and the food is very tasty as well. If you are looking for a very good high tea, you have to call or email them at least two days in advance. That way they can make the high tea for you as they only buy the ingredients that they need. If you’re in Bolsward during July and August you’re in luck. At 14:00 you will find a free canal tour of 45 minutes. Only 12 people can enter a boat and they are sailed by volunteers. A volunteer will give you information about Bolsward as well, while you’re enjoying the canal tour. 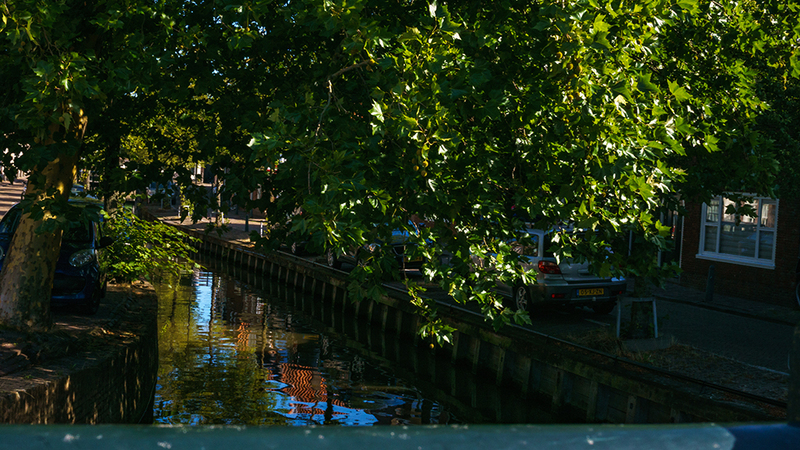 Seeing Bolsward from a canal boat gives you such a different perspective. And one that is worth it. The canal tours depart in front of the city hall and run from Monday-Friday. If you are visiting Bolsward outside of those two seasons, visit a museum instead. Or if you have extra time on your day in Bolsward, then you can add a museum. The Gysbert Japicx museum in Bolsward, The Netherlands is about Gysbert Japicx. He was a writer that has enjoyed national and international prominence during his lifetime. The reason why Gysbert Japicx was so popular is that for the first time, since the disappearance of Frisian as a legal and administrative language around 1580, he started to use the language again for serious work. The writing of Gysbert Japicx formed the basis of the contemporary Frisian which was the starting point of the Frisian language of today. As far as I’ve seen the texts are almost all in Dutch or Frisian, however, download Google Translate with the live translation version. That way it will translate the texts and you will be able to understand the notes and can understand how important Gysbert Japicx was to both Bolsward and Friesland. This is definitely one of the best things to do in Bolsward, The Netherlands. You can also find the tourist information inside the same building. 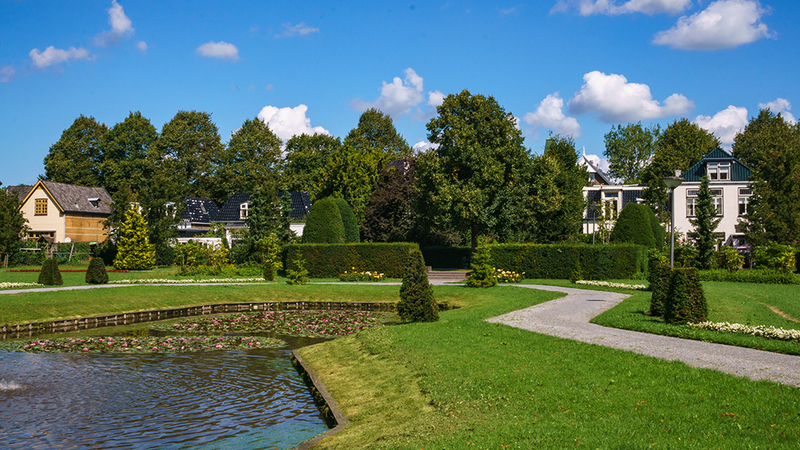 Take a walk through the monumental Juliana park of Bolsward. This is a beautiful park that has monumental value and once you enter the park you can understand the reasoning behind it. The park is not that big, but it’s beautifully decorated with flowers. The official entrance is a monument, but that is not the only reason why you should visit it. While Bolsward, as a city, is very calm, I sometimes want to ease my mind in a bit of nature. The Juliana park of Bolsward is one of the things you have to visit when you will spend one day in Bolsward, The Netherlands. 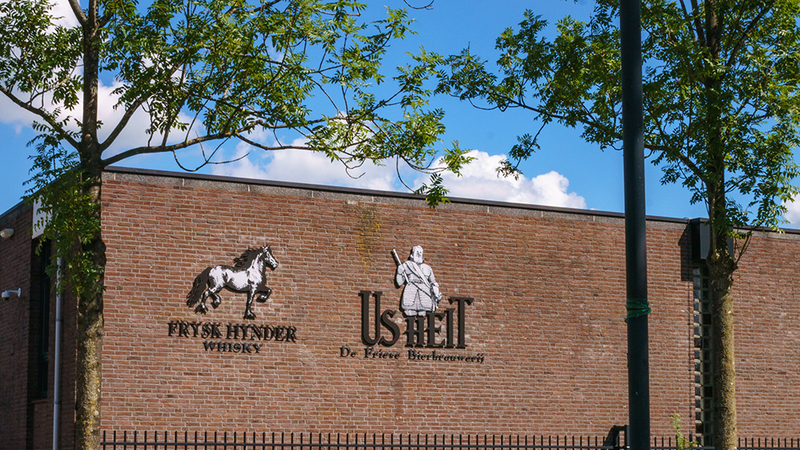 Us Heit is a Frisian, local brewery in Bolsward, Friesland and getting a tour, followed by a tasting has to be one of the top things to do of Bolsward, The Netherlands. Us Heit is located, very near the Juliana park you just visited. During the tour, you will get an explanation about the history and brewing process. Since 2002, at Us Heit, they also distil whisky and age it in wooden casks. Us Heit also has a beer museum where all kinds of old machinery and equipment are displayed. If you want a tour through the brewery and/or a tasting, you have to reserve a spot, which you can do by clicking on this link. Us Heit opens on Thursday and Friday from 15:00-18:00. There is an excursion starting at 16:00. Saturday from 10:00-18:00. You can find Us Heit at Snekerstraat 43,8701 xc Bolsward. After one entire day exploring Bolsward, some beers and a lot of new impressions you must be absolutely starving. That’s why it’s dinnertime. Here you will find the best restaurants in Bolsward, The Netherlands. After dinner, I always like to walk around. Like I said in the beginning, the evening is so different from the morning or afternoon. The atmosphere changes, the shops are closed and most of the people don’t have to work anymore. This means that you will see quite a few people enjoying their spare time on a terrace or inside a café. Especially during the beautiful days, everyone in Bolsward seems to be out on the streets. And after your stuffed your face during dinner, it’s great to let your stomach digest it faster by taking a little, slow walk. After your walk, sit down at Café ‘t Diekje. This is an authentic Dutch brown café in Bolsward. Once you sit down, you order a beer or something else to enjoy the last activity of your day in Bolsward, The Netherlands. And celebrate one successful day exploring Bolsward, Friesland. Café ‘t Diekje can be found at Dijkstraat 47 and opens 4 days a week. Tuesday and Thursday 18:30-01:00. Friday 18:30-04:00 and Saturday 19:30-04:00. I hope you find this article helpful. Is there anything you’d like to add? Have you ever visited Bolsward, The Netherlands? For the best day trips from Leeuwarden, Friesland, click here. Have a look here to see all my articles I’ve written so you can plan your travels and trip to The Netherlands off the beaten path, with the help of a local. Share this article!